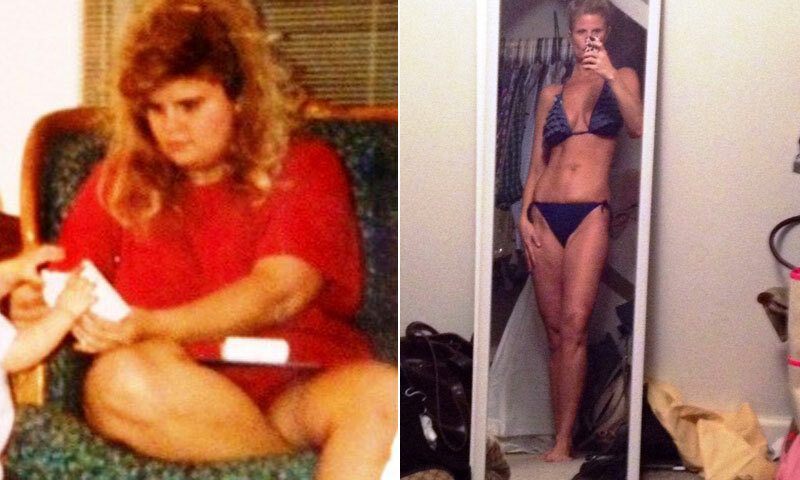 How I Gained It: I was always overweight growing up. I am not sure why, since my whole family is naturally thin. I just remember no matter what I did, I could never lose the weight. I tried every fad diet known to man. When I was a freshman in high school, my weight had reached 212 pounds. I just couldn’t believe it. Then as the next four years went by, I gained another 50-plus pounds. When I look back, I think I used food to comfort me when I was made fun of. Kids were very cruel to me. I was always the biggest kid in my class. I am tall, so to the kids, this meant I was fat. I definitely hid my eating from my mom, because she always tried so hard to help me with dieting. She always exercised with me and went on all the same fad diets I did, even though she was thin. My mom would always offer me rewards for losing weight, I just never met any of the goals. I was addicted to eating. It gave me comfort that I couldn’t get anywhere else. Breaking Point: I remember this day like it was yesterday. I was so miserable. I was letting my weight prevent me from living. I didn’t go away to college because I was scared of being made fun of. I even dropped out of community college because of it. I can remember running into two high school classmates who snickered when they saw me, “Wow, she has gotten even fatter.” There was also a time when I went to visit a friend at college. I was chatting with a guy, and when it was time for us to go, he said, “Well, we better call a tow truck to get her home.” That still stings to this day. I was no longer able to fit in any of my clothes. I was 20 years old and enough was enough. I needed to start living my life. I woke up one day and tried on an old prom dress to see how it would fit. I couldn’t even zip it. That was it — I had to get the weight off. I put on some tennis shoes and went for a walk around my parents’ neighborhood. From that moment on, I committed myself to a complete lifestyle change. I couldn’t live at home and hide forever. 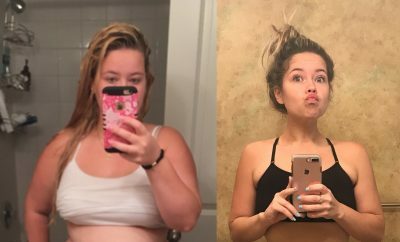 How I Lost It: I lost the majority of the weight by walking, and I totally changed the way I ate. I cut out red meat, butter, fried foods and other high-fat items. I also started to drink a ton of water. I used the stationary bike in my parents’ basement when I couldn’t get outside to walk. I refused to let myself give up this time. I had finally reached that point where I knew this was it. I decided that if this was going to work, I had to commit to it, for the rest of my life. 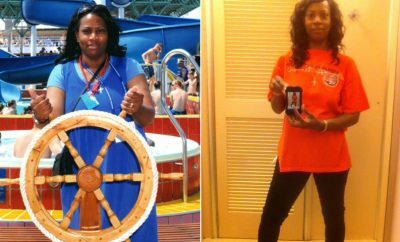 It took about two years to lose around 75 pounds. The rest of my weight came off when I moved to New York City. I was a nanny and walked everywhere. When I walked I was free. 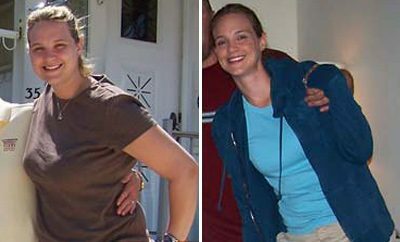 I was able to keep all the weight off even after I moved back home, married and had two kids. But by the time my daughter was about two, I had let a number of pounds creep back on. About two years ago my weight was back up to around 174. I wasn’t working out like I used to, and I had stopped watching what I ate as closely. I failed to remember that all those little bites of my kids’ food add up. I started back with my working out and eating better. This got about 10 pounds off, but I had no definition in my muscles. Clothes just weren’t fitting like I wanted them to. This past winter, I decided to try myfitnesspal. When I first began, I set my calories at 1,200, but the scale wouldn’t move. I was so frustrated. I decided to totally change my workouts and up my calories to around 1,450. All of a sudden, the pounds came off. My body was changing. I had toned arms, thinner thighs and ab definition. I went from doing P90X to doing 20- to 40-minute workouts consisting of kickboxing, tabata, Tae-Bo and Jillian Michaels’ Ripped and Daily Shred. I was amazed at the results I was getting. I am now in the best shape ever, and am 41. For the first time in my life, I felt strong and lean. I am 100 percent content with who I am now. I no longer worry about every morsel of food that I put in my mouth. I know exactly what I need to eat to maintain. I also allow myself one day a week when I don’t worry about what I am eating. This way, I never feel deprived. I exercise now because I want to, not because I have to. That makes a huge difference. I do not own a scale and don’t want to. I go strictly by how my clothes fit. The number on the scale fluctuates all the time, due to a number of different factors, many of which are out of my control. I never knew that at 41, I would be so comfortable in my own skin. I am truly in the best shape of my life. I feel younger and heck, I think I look younger! I have also started a blog, hoping to show others that you can get the weight off without feeling deprived. I hope to show others that no matter what your age, it is never too late to start. ← Previous Story A swing can be a reality check.